Perfectly located within the city of Longview & only minutes away from the area��™s finest dining & shopping areas. Beautiful curving streets, higher end homes, sidewalks, and walking trails make this one of Longview's most attractive neighborhoods. Hollybrook Coves residents enjoy peaceful seclusion plus the convenience of an in-town neighborhood. All lawn maintenance is included within the HOA dues! Head East on Loop 281 - Drive 0.9 mi. Turn right onto N Fourth St. - Drive 0.5 mi. Turn left onto Walnut Hill Dr - Drive 0.2 mi. Turn left onto Celebration Way - Drive 0.2 mi. 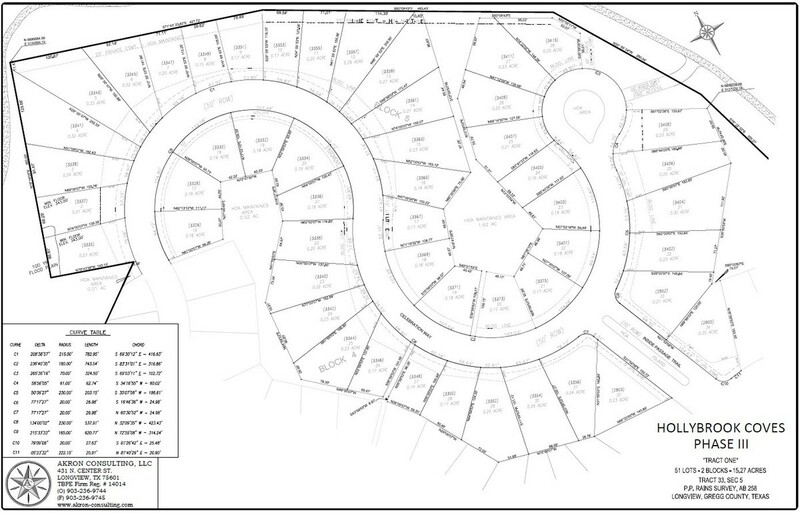 The following home plans are featured in the HOLLYBROOK COVE-3 community.